There are a lot of people who think the ketogenic diet acts like a magic diet pill. Yes, it’s a proven formula to induce rapid weight loss and improve blood sugar. But the ketogenic diet only works when you don’t give in and eat too many carbs and protein. And that can be hard… especially at lunch time. In this article I’m going to show you why lunch is the downfall for many people who follow the ketogenic diet. I’ll also give you some proven tips for beating the slip-ups (the Satiate Shake we carry is one thing that’ll keep you clean and keto) that may come as well as showing you a special device my patients carry that helps them stay ketogenic. Lunch can be problematic for many people. 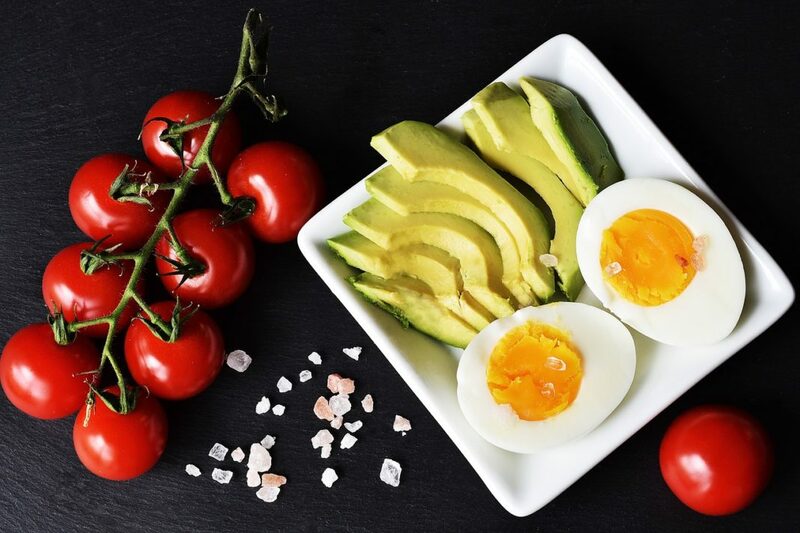 The reason why is that even though you’ve eaten a big old breakfast loaded with healthy fats, lunch is often a time where you might go in reverse. I’ve identified 2 reasons why lunch can trip up anyone on the ketogenic diet. For many people, lunch is often eaten outside of the house, whereas breakfast and dinner are consumed at home. This means if you want to eat a clean, ketogenic meal, it’s going to require you either make that meal beforehand… or, you find a suitable meal at a restaurant or cafeteria that’s keto friendly. I always tell patients the easiest way to make sure you have a ketogenic friendly lunch is by meal planning ahead of time. Crockpots are your best friend if you’re eating keto. Of course, you can also piece together tons of other meals that are delicious, and weren’t slow cooked the night before. And at the end of this email I’ll share some of the most delicious ketogenic recipes for maximum satisfaction. However, the fact that preparation is often required can be an issue. Especially if you’re frequently forced to eat out for work, or circumstance. If that’s you, the best thing you can do is order food you know to be high in fat, ask for all breads, dressings, and other high-carb foods to be left off (or put on the side), and bring a Satiate Shake with you. These two in combination can help make sure an inability to prepare for lunch does not throw you off the rails. When you first wake up odds are you’re not that stressed out. That’s often true of dinner too. When the day is finished the stress levels tend to fall since the day is now over. Lunch, on the other hand, happens in the middle of the day, where multiple outside factors could lead to excess stress. To deal with stress, your body will naturally raise hormones like cortisol, adrenaline, and insulin to help deal with the stress. When insulin goes up, blood sugar levels sometimes rise (assuming you have blood sugar in your body). And when cortisol and adrenaline rise, your body screams out for relief. Which is where stress eating comes in. To deal with the excessive cortisol and adrenaline, many people turn to sugary, carbohydrate-rich foods. The reason why is when they’re consumed, the carbs and the sugars activate pleasure centers in our brain and release a neurotransmitter called dopamine. Once you get that first rush of dopamine, it’s very easy to continue to eat the same foods to induce more dopamine release. And that will create a vicious cycle. There are a number of ways you can combat stress in these kinds of environments, and I’ll cover them in a separate article. But, if you want to avoid eating sugary foods by accident I have a suggestion. The first is to have “Fat-bombs” on hand. Fat-bombs are snacks you can make that consist of fatty foods like nuts and seeds, a few low-sugar fruits, like raisins or blueberries, and a natural sweetener mixed in. The way you eat is obviously the #1 thing you can do to get into ketosis. But the ketogenic diet isn’t a prison. There are times where you can enjoy foods that aren’t ketogenic and not feel guilty about it. When you’re armed with ketone strips like the ones below, you’ll always have a way to check if you’re in ketosis or not. These handy strips measure ketones so you can figure out if you’re in ketosis. So, if you accidentally eat a donut and are worried you’re now out of ketosis you can use the ketone strip to find out. If you want to get them, we have 100 strips in a small bottle for $12.00. Or, if you want to get several bottles and save we have a 3 pack bundle for $30.00 and a 5 pack bundle for $45.00. If you’re serious about using the ketogenic diet to lose weight I can’t imagine doing it without the ketone strips.